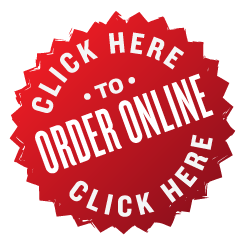 Sandwiches start at $8.25 and include your choice of mustard, mayo, salt, pepper, olive oil, home made vinegar and our special garlic spread (mild or hot). Add: Bacon for $1.50 or Avocado for $2.00. 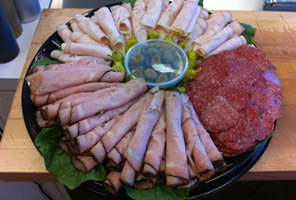 Our catering menu serves only as a sampling of our catering abilities and does not reflect the full range of selections. 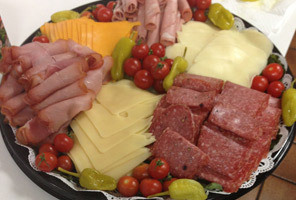 We will gladly assist you in developing and designing custom platters for your next meeting or special event. 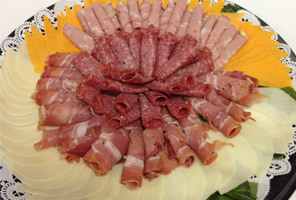 Give us a call at 415.239.2555 for availability and pricing information. 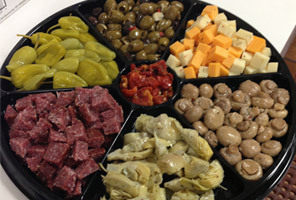 We offer a variety of specialty items and most of our products are imported from Italy. Come in and browse, we're sure you'll find something that you've always wanted to try. 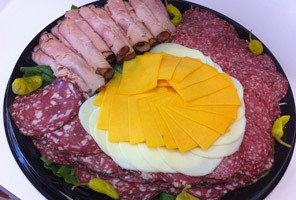 Copyright © 2014 Calabria Bros Deli. All Rights Reserved.